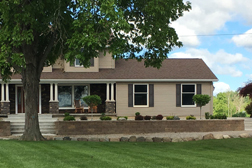 Lawn Care : Looking for a Professional Landscaping Contractor? 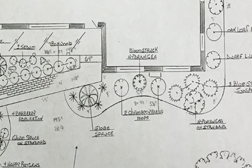 Let our experienced staff help create a functional and aesthetically pleasing solution that is unique to your project. 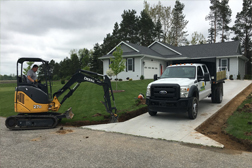 For all needs outside the home, we are equipped for every aspect of the project from initial grading to softscapes, hardscapes, and everything in between. Full service scheduled lawn and landscape maintenance to keep your property looking at its best. Take a look at some of the jobs we have completed including before and after photos. We have a professional and dependable staff that works towards your vision and goals. Matt Feichtenbiner began Premier Property Maintenance in 2002 mowing lawns after school while still a sophomore in high school. 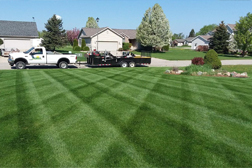 Back then it was a solo operation that mostly consisted of mowing grass and the simple goal of providing a quality service at an affordable rate with customer service as a top priority. However, the professional staff are still using Matt's core principals of taking pride in their work, attention to detail, and integrity to get the job done right. Now we are looking forward to adding your property to our growing list of fully satisfied customers.